The mission of AAUW (formerly the American Association of University Women) is to advance equity for women and girls through advocacy, education, philanthropy and research. To that end, the Fox Chapel Area branch of the AAUW (FCA-AAUW) has given Career Launching Awards to Chatham University senior women majoring in STEM-related fields since 2009. We caught up with Jennae Reken ’15, past recipient of the award to see how it benefited her. Q: What was your major at Chatham, and what are you doing now? A: I was a cell and molecular biology major at Chatham, and I am currently in my fourth year of medical school at Lake Erie College of Osteopathic Medicine. I am applying for residency in pediatrics and will found out where I matched on March 15, 2019! Q: How did the award help you get where you are? 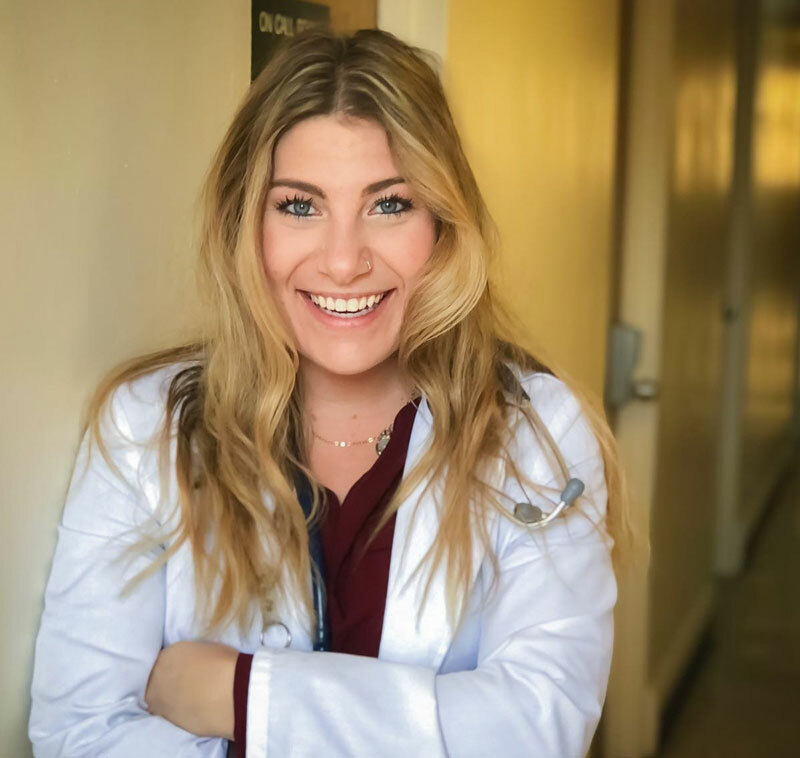 A: The award not only provided me with financial support to pursue my dream of attending medical school, but also opened me up to a network of women who are supporting other women. I would be nowhere today without the support of so many female colleagues and mentors who walked the path before me. I know being able to list an award given by a nationally recognized organization like the AAUW was beneficial for me in the process of applying for residency. The award is certainly a highlight to put on any job application or resume, but more than that, it's a reminder for me to take the time to be there for young women pursuing higher education and medicine. We don't get there alone. Q: What would you say to encourage other women who are thinking of going into science? A: To any woman considering a career in science, we need you! I would tell them it's the best decision I have ever made. If you want a career that is constantly evolving, changing and providing you with opportunities to challenge yourself, any STEM field is the right choice for you. I feel rewarded every day for the work I get the privilege of doing in the field of medicine. I have also acquired some of my best friends from research and medical school. Don't be intimidated. There is a network of women that already exists who will support you. To be eligible for the award, students need to be nominated by the Science Department faculty and meet other requirements.